"We are grateful for the investment at a time when we were so close but still too far away from opening. We are now finally doing what we set out to do and the feedback from our community has been incredible." Social Investment Scotland (SIS) makes investments in charities and social enterprises that make a real difference to people’s lives, society or the environment. We have invested over £63 million in organisations across Scotland, and this year marked the milestone of our 300th customer. Every year we carry out a customer survey to find out more about our customers’ social impact and the positive effect our investment is having on communities throughout Scotland. This year, we were delighted that 92% of our customers responded - 139 organisations. As we continue to grow our activity and the difference it makes, we are reviewing our approach to monitoring, reviewing and reporting on our impact. However, this year we have continued to use Big Society Capital’s Outcomes Matrix, reviewing social impact in relation to fifteen beneficiary groups and nine outcome areas. These reflect what a person needs to lead a full and happy life.  People find enjoyment, self-expression and affiliation through informed participation and engagement in the arts, sports and faith resulting in a thriving cultural landscape.  of SIS customers chose Arts, Heritage, Sports & Faith as their primary outcome area (a total of 24 customers). want individuals to develop cultural skills and confidence in areas that interest them. ensure strong public awareness of and participation in the arts, heritage, sports and faith. Lossiemouth FC Social Club is a social club run by Lossiemouth FC. The social club contributes to running the football club by providing a space for fans to meet before and after matches; streaming televised football; providing snooker and pool tables; and running a variety of events such as weddings, ladies’ nights and birthday parties. After their request for a loan was rejected by their main bank, Lossiemouth FC Social Club approached SIS in late 2016 with an urgent request to help with the costs for the refurbishment of the club roof before the onset of harsh weather conditions. SIS provided an £18,500 loan to cover the repair of the roof as well as repair some damage inside the building. 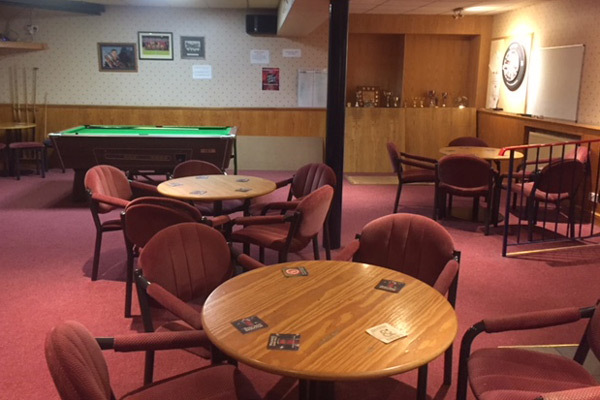 The social club now continues to contribute to the running of the FC and also provide a valuable space for social gatherings and events in Lossiemouth. People live in confidence and safety, free from crime and disorder. All act as a responsible and active citizens and feel part of a community which is stronger, active and more engaged. of SIS customers chose Citizenship & Community as their primary outcome area (a total of 24 customers). seek strong and safe communities. Awesome Energy Dalriada (AED) was established by the Dalavich Improvement Group (DIG) to own and operate community renewable energy schemes. DIG has been working to advance community development and manage community land, for example a community centre and two children’s playgrounds. The idea was for AED to generate revenue by selling green hydroelectric energy to the national grid. The income would then allow AED to contribute to further projects and alternatives in the DIG area. The overall cost of the project was estimated at £1.5 million, although the community raised a portion of this capital through a community share offer. SIS then awarded AED a £1.1 million loan to aid with the remaining costs. 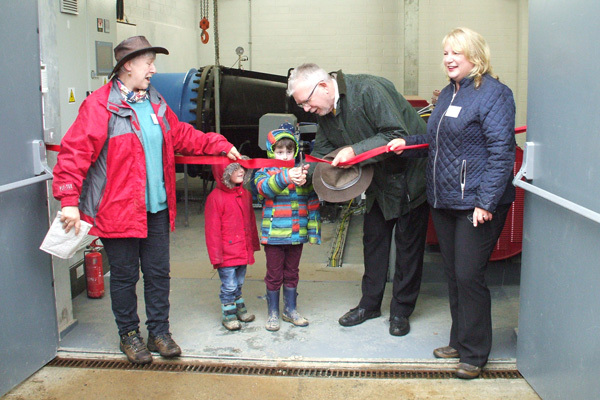 After years of planning and hard work, AED now operates a run-of-river hydro scheme, which commenced in early 2018 and is expected to generate around £2 million over the next 20 years. Although directly benefitting the community, the scheme also provides a sustainable energy source, with an anticipated saving of 11,950 tons of CO2 emissions during its lifetime. Beneficiaries: People living in poverty and financial exclusion, with long-term health conditions, life-threatening or terminal illness, with learning disabilities, with mental health needs, with physical disabilities or sensory impairments, those who have experienced crime or abuse, voluntary carers, vulnerable parents, vulnerable children, vulnerable young people and NEETs (not in employment, education or training), children, young people and families in general, older people including those with dementia, former offenders, general public within local community and community groups. of SIS customers chose Conservation of the Natural Environment as their primary outcome area (a total of 6 customers). want to help individuals understand the importance of the natural environment and reduce their impact on it. seek to ensure recycling and sustainable water use. SIS reached a significant milestone this year by lending to Locavore, marking our 300th investment in Scottish social enterprises. Locavore is a social enterprise contributing to the creation of sustainable local food economies, which is better for the local economy, environment and communities. It promotes, produces and distributes local food through its shop and café in the Southside of Glasgow and its farm, which grows organic food and keeps chickens for eggs. Locavore also delivers veg boxes to over 650 households a week across central Scotland, wholesales its produce and has recently also commenced EU-wide trading. 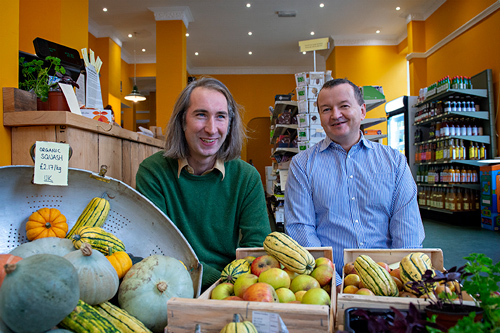 As Locavore expanded, it outgrew its old premises and moved into a new unit only a few minutes from its old location. Already an existing SIS customer, Locavore took on another £20,000 loan to help with its cash flow during this transitional period. Individuals are in suitable employment, education, training or care work and relevant opportunities are available to all. of SIS customers chose Employment, Training & Education as their primary outcome area (a total of 45 customers). want to help individuals develop the necessary soft skills through employment, education or training, including social skills, attitude and motivation. aim for strong public awareness and participation in matters relating to education and employment, and good sectoral understanding of how to address them. In early 2018, the unemployment rate in Scotland was 4.3% , whereas youth unemployment was higher at 10.8%, having increased by 2.3% since the previous year. The Workshop Aberfeldy in Highland Perthshire promotes employability in a remote area in Scotland, particularly supporting young people and those facing additional barriers to employment, such as people with learning difficulties. The social enterprise gives all members of the community the opportunity to learn practical and technical manufacturing skills in woodworking, engineering and laser cutting. The Workshop offers a safe environment to improve these skills, as well as gain self-confidence and interpersonal skills at their own pace. It generates revenue by selling the products made during training and completing contracts for businesses. SIS invested £25,000 to help The Workshop Aberfeldy purchase new equipment as part of its plan to expand the business. 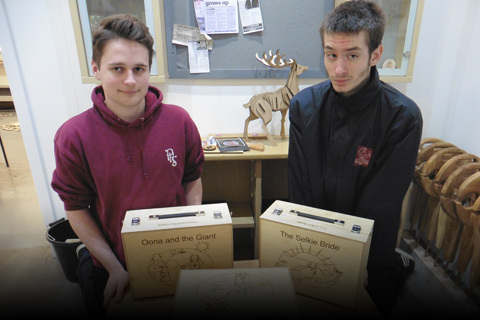 A new CNC router and laser cutter helped improve their employability in the workshop and provide more opportunities for members of the community to increase their employability. People have a positive social network that provides love, belonging and emotional practical support in a society that supports and encourages families and good personal relationships with a sense of belonging. of SIS customers chose Family, Friends & Relationships as their primary outcome area (a total of 6 customers). ensure individuals enjoy positive and constructive relationships with others. make sure people have strong public awareness of the value of families, friends and relationships, and good sectoral understanding of how to build them. Funeral poverty, when the price of the funeral is beyond a person’s ability to pay, is a rapidly growing issue in Scotland. Research  has shown that the basic cost of burial has increased 77% since 2010, with an average funeral costing £3,600. The strain created by this can be financial, in form of unmanageable debt, and emotional, through distress, shame and social stigma. Caledonia Cremation is a social enterprise funeral business which addresses funeral poverty by providing low-cost direct cremations. A direct cremation has no service to attend at the crematorium, which allows for greater flexibility and provides a dignified and personal funeral. Caledonia Cremation offers this service for a standard rate of £995. Although lower than the average cost of a funeral, it acknowledges that this might still be a financial burden on some families, in which case it offers additional, much needed support. To further raise awareness around this often hidden cause of poverty, Caledonia Cremation runs ‘death café’ discussion groups, community conferences and a national advice helpline. The organisation approached SIS in 2017 to help set-up capital expenditure and working capital. 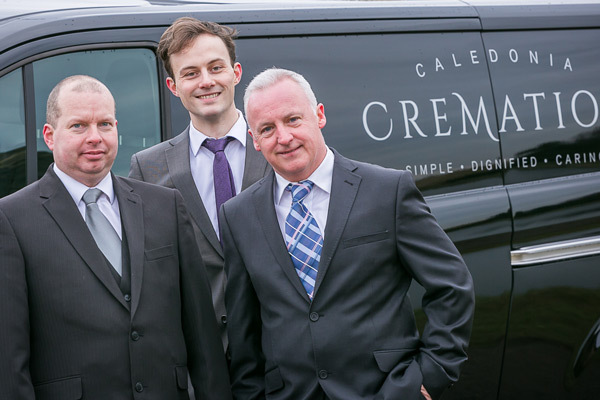 With a £50,000 loan from our Asda Community Capital, as well as other grants, Caledonia Cremation was able to successfully commence business operations and tackle funeral poverty through its simple, dignified and caring service provision. Individuals have a suitable, secure place to live, affordable utilities and access to local facilities and transport, with investment and availability of different forms of tenure now and in the future. of SIS customers chose Housing & Local Facilities as their primary outcome area (a total of 7 customers). work towards individuals having a secure, suitable and habitable place to live in. aim to provide sufficient accessible and affordable transport, utilities and local facilities. Lochaber Housing Association (LHA) was set up in 1988 as a response to the chronic housing need in Lochaber’s rural communities. Housing prices were and still are high, due to high land costs, and second and holiday homes in the area. However, the Association currently has 701 affordable homes in Lochaber and a development programme that should bring an additional 120 affordable homes. Its Lochaber Care and Repair subsidiary offers services which play an integral role in contribution, at a local level, to the Scottish Government’s Reshaping Care for Older People Programme; thus supporting older and disabled people to enjoy full and positive lives in their own homes or in a homely setting. This subsidiary also provides a Handyperson and Small Repairs Service to clients across all tenures, and operates and manages a Joint Community Aids and Equipment Store, including the delivery and uplift of aids and equipment to clients. LHA’s other subsidiary, LHA Property Services, is a non-charitable Community Interest Company, which enables LHA to carry out activities that it could not as a charity. As LHA expanded and established its two subsidiary companies, it outgrew its existing store and yard and was looking to build and develop two new units to base the subsidiaries. SIS, in partnership with Triodos Bank, provided a £400,000 loan, with SIS covering 30% of the total cost. 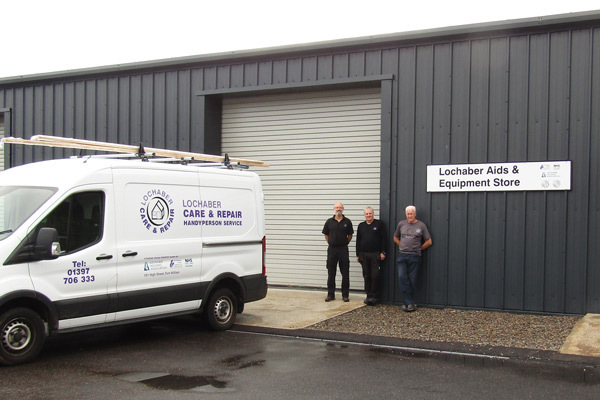 The new premises have allowed LHA and its subsidiaries to continue to successfully provide high quality services to Lochaber’s communities. of SIS customers chose Income & Financial Inclusion as their primary outcome area (a total of 4 customers). aim for individuals having sufficient sustainable income, including benefits (if appropriate). want strong public financial capability, literacy and management, and understanding of legal matters. ‘Food poverty is the inability to acquire or consume an adequate or sufficient quantity of food in socially acceptable ways, or the uncertainty that one will be able to do so’ . Food poverty is an increasing public health issue throughout Scotland and the UK. Angela McNay made it her mission to challenge hunger and tackle food poverty in Ayr by opening Unity Grill, the town’s first social restaurant. The business operates on a simple concept: those who can afford to, pay the prices on the menu. Those who cannot afford to buy a meal can, instead, volunteer their time in advance in return for a voucher to offset the cost of their meal. Unity Grill welcomes everyone, regardless of their ability to pay for a meal. SIS helped the restaurant commence operations with a £40,000 loan. 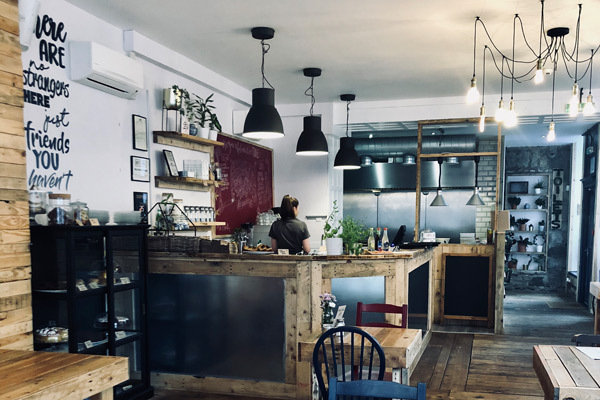 £25,000 enabled the restaurant to purchase kitchen and bar equipment as well as stock, and the remaining investment was used as working capital. Unity Grill opened its doors to the public in April 2018 and is now providing a welcoming space for everyone, as well as tackling food poverty and stigma around it in Ayr and South Ayrshire more generally. Those who experience mental illness recover where possible and lead a positive and fulfilling life, even if symptoms remain. Good mental wellbeing and life satisfaction across the population. of SIS customers chose Mental Health & Wellbeing as their primary outcome area (a total of 8 customers). want individuals to have a sense of purpose, engage in meaningful and fulfilling activity, and have aspirations for the future. aim for equal access to good quality mental health services. Previously operating as the MS Therapy Centre, the Inverness-based charity The Oxygen Works provides practical, emotional and social support to people living with long-term health conditions throughout the Highlands. Although it initially focused on people living with multiple sclerosis (MS), the centre has diversified to accommodate a broader spectrum of clientele with a variety of health conditions. Offering access to a wide range of therapies, including oxygen therapy which is available in only six operational chambers across Scotland, the centre allows its members to self-manage their symptoms. 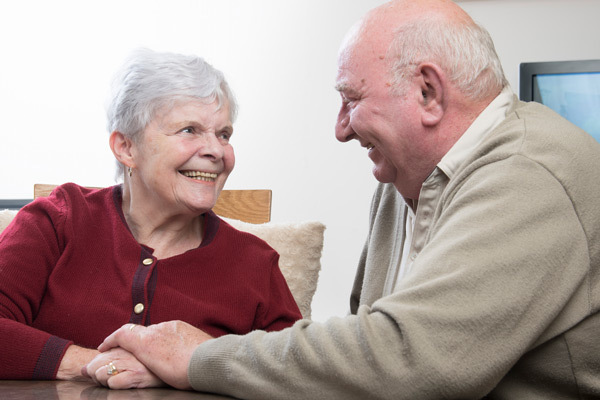 As well as the therapies that it offers, members benefit from a minibus service and a lunch and social club to combat social isolation, which can be detrimental to wellbeing and negatively impact recovery from injury and illness. As such, The Oxygen Works is crucial to many clients’ physical and mental health and their wellbeing. As the MS Therapy Centre expanded its clientele, it was looking to re-brand to reflect its diverse and growing ambitions. SIS provided the centre with a £20,000 loan to implement a new marketing strategy, which included re-branding with its new name The Oxygen Works, new logos, a new website, business stationery and a variety of campaigns and events to relaunch. The Oxygen Works has a huge impact on the Highland community’s wellbeing and its demand is constantly increasing. Individuals look after their health. They recover quickly, or if recovery is not possible, health and quality of life are maximised. Good general physical health across the population. of SIS customers chose Physical Health as their primary outcome area (a total of 15 customers). want individuals to have a positive experience of healthcare and attitude toward their own physical health. encourage healthy and physically active people and communities. Gymnastics can be hugely beneficial to the development of young people: it increases flexibility, coordination, balance, helps develop strong and healthy bones, and teaches commitment, discipline and social skills. Astro Gymnastics has been running in West Lothian for over 20 years as a non-profit community sports club. Astro offers recreational, pre-school and competition-level gymnastics, providing classes for babies as young as eight weeks old. The gymnastics club expanded and recently moved into larger premises due to the high demand for memberships. 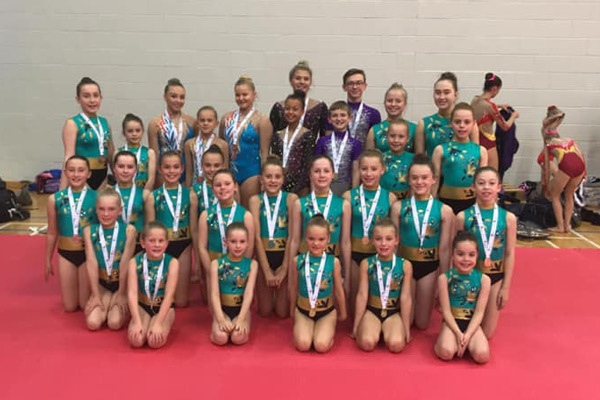 SIS provided Astro Gymnastics with a £75,000 loan to cover the costs of some much-needed refurbishment and equipment for their new hall.